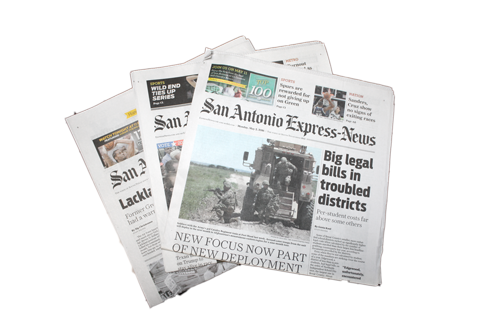 The San Antonio Express-News publishes a variety of printed products. Special advertising sizes are permitted on a case-by-case basis. Please consult your Hearst Texas account executive with questions or specific requests. 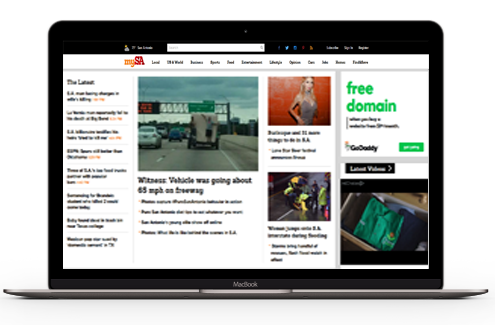 From banners and rich media to e-mails and landing pages, mySA and our premium members site expressnews.com, have the resources you need for web and mobile advertising. Our insert advertising program is and has been the most powerful in South Texas for decades. Learn more about the volume, material, and distribution options available for your insert advertising.